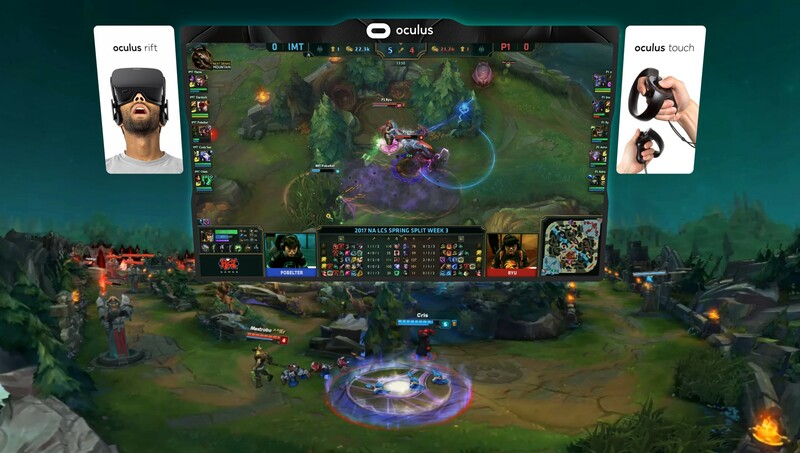 VR Esports: The Future or a Pipe Dream? It’s an understatement to say that there’s a lot riding on virtual reality. Billed as the next big thing across multiple verticals, according to analytics platform CB Insights, approximately $1.48B of venture capital was invested in VR/AR startups in 2016. Even taking Magic Leap’s $793.5MM series C out of the equation, we’re looking at a whopping $686.5MM in funding. Throughout the years, we’ve seen glimpses of what the marriage of virtual reality and gaming could look like and now the worlds of Tron and The Matrix don’t seem all that far away. A little over two years after Facebook’s $2B acquisition of Oculus, VR is at an inflection point. Early investors have made their bets and are waiting to see how the adoption trajectory further developers before diving even deeper and more conservative funds are in a holding pattern. All appear to agree on one thing — that VR is a killer use case away from mainstream. Could VR esports or competitive gaming be that use case? Let’s take a deeper look at why or why not. A New Experience: For the most part, PC and console gaming has essentially been played the same way for the past thirty years. VR represents a few departures from the status quo — it’s a truly immersive experience. Life-like visual and audio processing, movement and positional tracking and haptic and integrated sensory feedback all contribute to an adventure that’s absolutely life-like, to the point that during certain Vive sessions I forget where I really am. VR also offers a unique blend of physical and digital. I’ve heard many times from those that don’t understand esports that there’s no “sports” behind it. That can absolutely change with VR and awesome companies like Virtuix, offering a VR treadmill that allows users to truly explore the virtual world around them, and The Void, which puts you inside digital worlds layered over interactive environments on a theme park scale, provide a glimpse into what could be. Capcom runs a pop-up VR experience that has players strap Vive controller to their feet and then slip on the headset and hold two more controllers. Once inside the game, the player uses their hands and feet to wreak havoc on a city as a massive monster, stomping, batting their arms and belching lighting with the controllers. Bandai Namco has an experience that places players in an elevator jetting to the roof of a high rise. Once there, players have to walk across a real world wooden plank to try and save a virtual kitten depicted as mewling for help hundreds of floors above the ground. Monetization Opportunities: There are plenty of financial incentives for VR esports to become mainstream. The first is hardware and device sales. Being able to play the latest and greatest games have always been one of the biggest drivers for upgrading hardware. Combine that with manufacturers chomping at the bit to cash in on VR first-timers who that need to upgrade their graphics cards, phones and monitors and you have a very compelling monetary case. This is in addition to the in-app purchase opportunity which hasn’t been prominent mainly due to the lack of depth in today’s VR games. In addition to direct sales, marketers will have access to a brand new world of advertising. We have no idea what ad units and CPMs are going to look like in this brave new world, but early tests are promising. Sliver.tv, a 3D-livestreaming platform, is experimenting with in-game ads and the results are pretty cool, as seen in the screenshot below. Lucid Sight, a VR game dev and ad network, ran an activation with Lionsgate to promote the movie Divergent: Allegiant based around a 4-minute video ad ingame that users could skip after 10 seconds and saw completion rates (defined as watching the entirety of the ad) of close to 30%. What’s clear is that there’s revenue to be made across the board, and hardware companies, game publishers and advertisers alike are well incentivized to acquire users. Many research firms’ numbers also have shown that VR product sales in 2016 have been weaker than expected due to lack of content and high product costs. VR/AR technologies also require more improvement in order to stimulate demand from both the consumer and enterprise sectors. Sony’s PSVR, Google’s Daydream View, HTC’s Vive, Oculus Rift and Samsung Electronics’ Gear VR have all achieved sales that are weaker than market expectations. A strong esport doesn’t only need top-level professional play, it needs large numbers of viewers. Looking at viewership:MAU ratios for popular titles (based on average professional league viewership), the numbers are extremely low — 150K:100MM for League of Legends and 40K:12MM for CSGO. If these ratios are any indicator, the playerbase needs to grow exponentially before any significant VR viewership takes place. In addition, device sales generally don’t take into account the fragmentation of hardware today. There’s already five “major” devices on the market today and standardization of devices is a must when it comes to competitive gaming — you’ll never see a Call of Duty tournament where OpTiC Gaming is on Xbox while EnVyUs is on Playstation, nor will you see an Overwatch match where Cloud9 is using PC’s while CLG is using Playstation 4’s. Meaningful Content: Up until now the lion’s share of games have simply been demos of VR capabilities, “life simulators” or single-player games with very basic functionality. When a full-scale FPS, MOBA or Strategy game backed by a AAA studio gets released, expect to see metrics like session length, in-app purchases and overall viewership trending upward, along with the infrastructure for competitive leagues. Watch for esports tournament organizers like ESL, FaceIt, Beyond the Summit or NGE to be the first to test the market for VR competitive gaming tournaments. Spectating: If VR games are this difficult to play, what can be said about viewing? Esports fans can watch content from anywhere today — their PC, phone, console, Apple TV and more! But with the VR-required hardware, will this be a moat too wide for the Average Jane to swim across? Companies like BoomTV, Genvid, Sliver and Valve are working on making this easier to do, and expect platforms like VREAL, YouTube and Twitch to leverage technology to make the transition more seamless. There’s also the ultimate question of who’s paying for the content — will these platforms be able to charge users for the service or will they be able to find brands willing to make a bet in the early days on VR livestreaming? VR esports coming to fruition or not is ultimately dependent on the parent industry. I’m of the mind that truly disruptive technologies take time to adopt and VR will reach the predicted trajectories that many of these exciting companies are working towards. I also believe that competitive gaming will be a huge driver for adoption as we see hardware costs lowering and content maturing.